We don’t normally post pie-in-the-sky concepts here as they’re a dime a dozen, with very little to make them newsworthy. 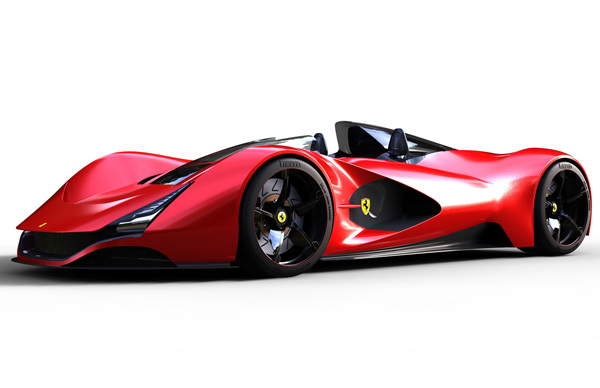 Such is not the case with this Ferrari Aliante concept. 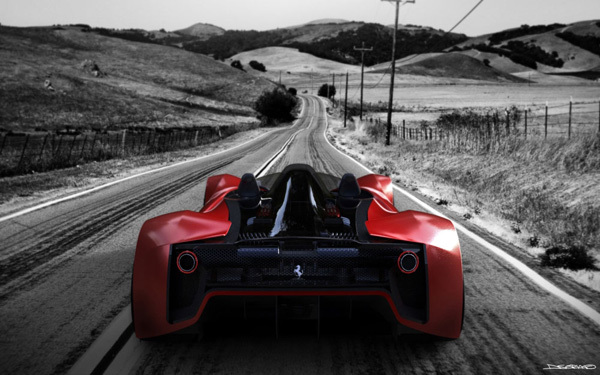 Penned by three students from the Turin-based Istituto Europeo di Design — Arun Kumar, Daniel Soriano and Magnus Grettve — the gorgeous Aliante concept was developed for the 2011 Ferrari World Design Contest. 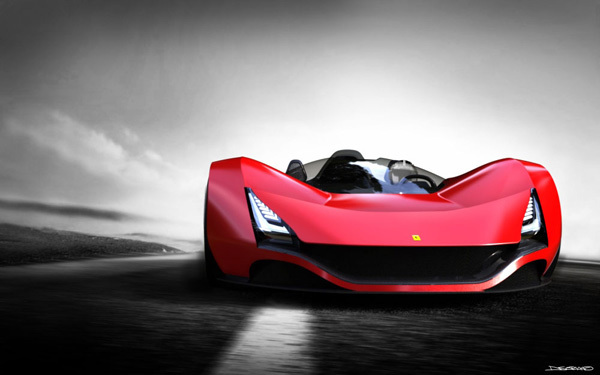 The mid-engine two-seat roadster borrows design elements from Ferraris past and present such as the very 458 Italia-like headlamps, and dramatic airscoops from the F40. Other notable features include a transparent engine cover exposing the engine and hybrid drive system (which remains completely vague, naturally) and a lotus leaf texture interior that is is dust and water resistant — allowing the Ferrari Aliante supercar to be driven open in the rain, enhancing its desired Formula One-like driving experience. A stunning concept, too bad it didn’t win the competition.